Half of the BEVs on the market can now go more than 125 miles (200 km). 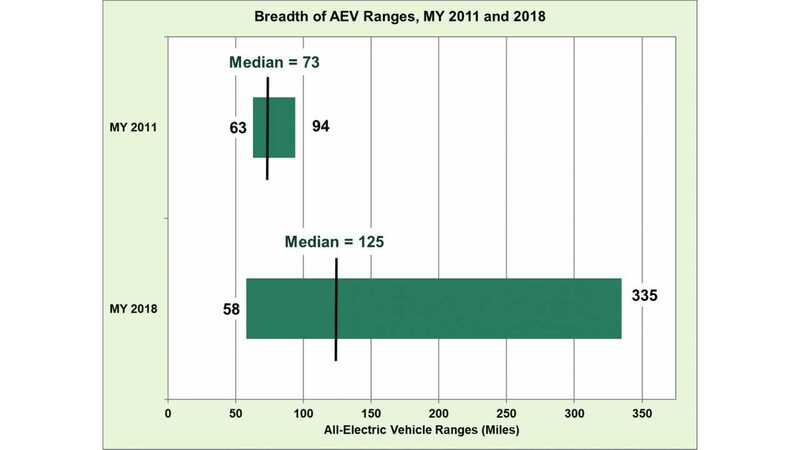 According to the US DOE’s Office of Energy Efficiency & Renewable Energy, the median EPA range for all-electric cars in the U.S. increased for the 2018 model year by almost 10% year-over-year, from 114 miles in 2017 to 125 miles (around 200 km). For 2018, there were 14 BEVs to choose from, while in 2011 there were just three (median then was just 73 miles). The median is the value separating the higher half from the lower half of a data sample - wiki. Depending on the model, the range of all-electric cars varies from 58 (electric smart) to 335 miles (Tesla Model S 100D). In 2011, the range varied from 63 to 94 miles. 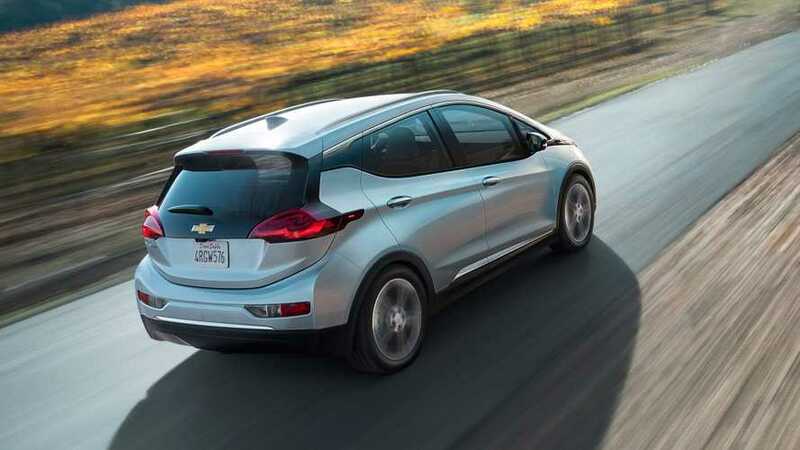 The median increases as there are more longer-range electric cars on the market and, by the way, those longer-range models seem to now account for the majority of sales. It clearly shows that consumers are willing to go electric if the car is capable of long-distance travel. In the near term, we will probably see a median of over 150 miles (240 km), while the majority of sales will be of cars with range above 200 miles (320 km) or even 250 miles (400 km).